I learned the piano craft as an apprentice back in the mid 70's in a prestigious rebuilding shop. I worked there about 2 years under the direction of local Piano legend Bob Burton. I mastered all possible kinds of repairs, adjustments, complete rebuilding everything from historic nineteenth century antiques to modern top-quality concert grands. Since starting my own business in 1977, I have tuned and serviced all styles, sizes. 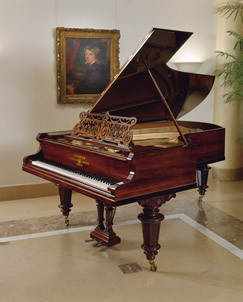 While on my own, I have completely rebuilt and refinished many Steinway, Bechstein and Bösendorfer grands. I am also one of the few technicians who will work on Square Grands and Birdcages, the now rare antiques that have lasted from the mid 1800′s. 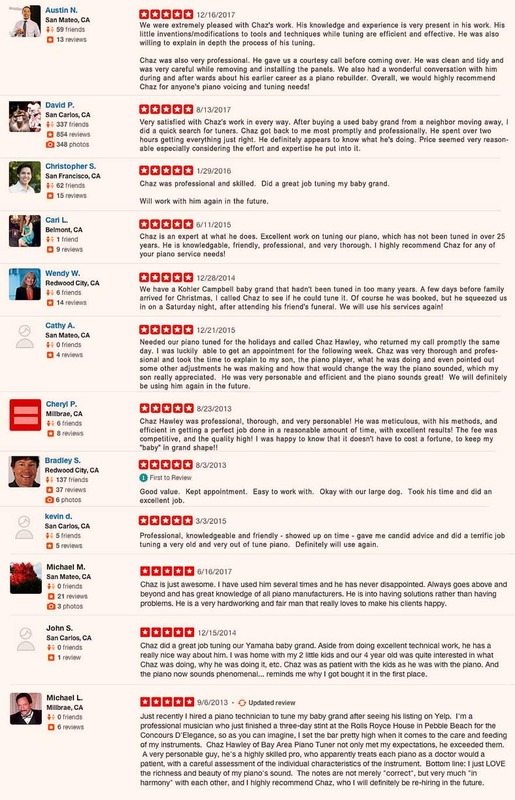 I always endeavor to make my customers happy! I am tuning with a combination of ear and advanced digital tuning devices. My ear is always able to detect situations where I will override the digital info. With this combination, I can achieve the most stable and pleasing results – creating a special Temperament & Stretch which is customized for the Unique Scale of each piano. Normal tunings are guaranteed to last for 6 months. (Normal means for pianos that were tuned within 2 years, and/or don't need a Pitch-Raise.) I will gladly come back and "touch up" individual notes if they have drifted during that time. I have rarely been called back. I spend a full 2 hours and carefully set each of the 230+ tuning pins for optimal stability. These tunings will sound quite good for a year or two, unless big shifts in humidity occur. I can also expertly Voice a piano... soften the notes that are too harsh, or brighten those that are too soft, creating an evenness of expression across the whole keyboard. Having extensive technical knowledge, I can quickly solve all issues concerning regulation, hammer alignment, uneven string height, malfunctioning or sticking keys, unwanted noises, pedal adjustments, etc. I can even remove many false beats. I am keenly aware of the various stresses on strings as they go through the different sections of the piano. I can therefore "spring load" my tunings. In the chart below, there are two non-speaking sections in red. 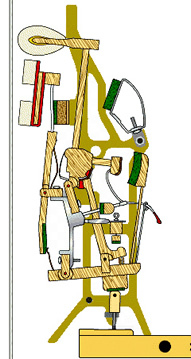 1) Where strings are between the Tuning Pins and the Capo Bar, and 1) between the Bridge and the Hitch Pins, these are the non-speaking areas. In the Alto and Soprano sections, the strings have more non-speaking length than speaking length. By slightly raising tension in these silent areas, strings can be tuned in such a way as to maximize stability. Because of the bending of a string during loud playing, the 150 lbs of tension on a string is increased by a few pounds. When that tension exceeds the non-speaking area's tension, and when the friction of the capo bar and bridge give way, then the string will go a little flat each time the note is played loudly. By slightly increasing these non-speaking area tensions, the speaking length will stay much more stable, but will still go flat from the effects of time, metal fatigue, stretching and age. When all notes have all gone significantly flat in pianos that haven't been tuned for years or decades, a pitch-raise is needed. Generally I can do this in one tuning. It probably will take longer than a yearly or 2-year tuning as some notes will need double attention. A later, second tuning, probably will be required to provide optimal stability, and that second tuning should not occur sooner than 3-6 months, to allow for all the new tensions "settling in". The piano will still sound amazingly sweet after this first pitch-raise compared to it's sour sound before. Where many competitors require two, I can get that initial tuning accurate within 2 or 3 cents with just one tuning! 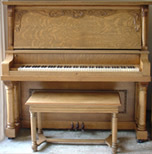 Even when pianos have had 2 tunings, they will still go out during the next few months. 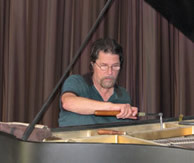 I am often able to remove False Beats that plague many pianos in the alto and soprano sections. These problems occur in the treble areas where the strings are vibrating in the thousands of cycles-per-second and the vibrations can pulse between horizontal and vertical modes of direction. Microscopic wear on the bridge pins and capo-bar, bends in the string during installation, micro variations in diameter, all contribute to this annoying phenomenon. Generally micro repositioning of the string on the bridge pin helps. In severe cases and when necessary, strings may need replacing. 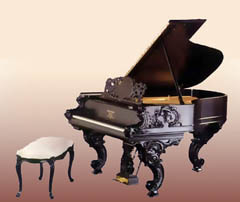 When I show up to take care of your piano, ideally it will have nothing sitting on it, like vases, books, magazines etc. I can always help remove anything that still remains. But I will need to open the lid, remove the music desk and maybe some other parts depending on the piano. It will take me about 2 hours to go over each of the 240+ strings. In addition to getting each string to the right pitch, I test each one to see if it is likely to go flat or sharp. This way I can create the most stable tuning possible. If any treble strings need replacing, they can be for $100 for each pair. If the piano needs cleaning & dusting, I can take care of that with a damp paper towel. More serious cleaning, for example, below the strings in a grand, can be done with a vacuum and several specialized brushes and tools. For more serious key set works, (white and/or black key replacement, re-bushings, etc) here are some prices. Once there were many Piano Shops in the Bay Area, however, due to the cost of rent, these shops are all but history. Often I get calls from potential customers asking what's the price for tuning. I take into consideration how long since the piano has been tuned, how far away it is, what other problems might come up and try to be very competitive. I've recently researched some other technician's prices, and probably I'm discounting myself too much. But basically I'm asking $180 and I generally spend two hours creating high quality, stability and accuracy. -This is $90/hr. So, it's important to find out how long a tuner plans to take, as I don't think it possible to do a really good job in much less than 2 hours except when the piano is so close to perfect that it only needs maybe half of the strings adjusted. If the piano is 10 to 50 cents or more flat, like it hasn't been tuned for decades, then I need to spend up to 3 hours to do a pitch raise + tuning. $270 In this situation I often need to go back over many strings as I move up and down the keyboard. As each string being raised lowers its neighbors 10-25%. So getting to A440 takes just the right amount overshooting. And it's not like all the strings are the same amount flat. Some areas are twice or three times as flat. 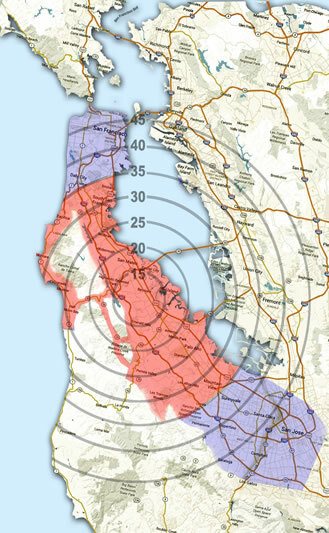 most the cities of the peninsula -– Brisbane, Daly City, South San Francisco, Millbrae, Burlingame, Hillsborough, San Mateo, Belmont, most often in Atherton, Palo Alto, & Mountain View. 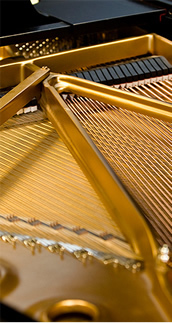 I also service pianos in the South Bay: San Jose, Cupertino, Campbell, Los Gatos, Sunnyvale, and Santa Clara. 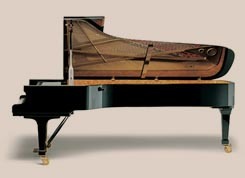 Visit my page MORE ABOUT PIANOS and learn a little of what makes THE PIANO such a special instrument! !